Central Tech was the recipient of a couple of industry donations this summer. 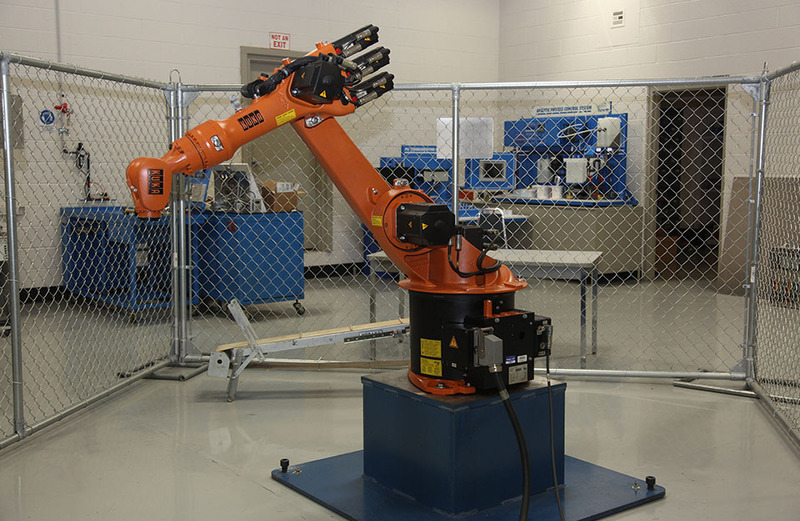 “Donations from industry help further the education of our students by training on equipment they will use when they graduate and are employed in industry,” says Central Tech superintendent Ron Dyer. Central Tech received an equipment donation from Enduro Pipeline Services, Inc., August 15, 2016 at Central Tech’s Pipeline Training facility in Drumright. Enduro Pipeline Services, Inc. has their corporate headquarters in Tulsa, Oklahoma with additional service and products center in Calgary, Canada. Enduro provides In-line-Inspection Services, cleaning pigs, tracking equipment plus project management services to the pipeline industry. 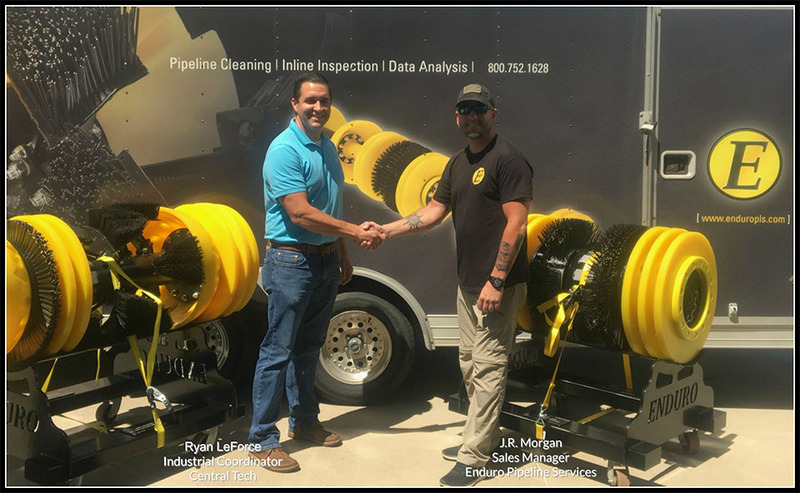 The equipment donated by Enduro includes: two 24″ pipeline cleaning pigs, one 8″ cleaning pig and two Enduro Pig Poppers. “This technology will be beneficial to Central Tech’s pipeline training,” says Ryan LeForce, industrial coordinator for Central Tech’s Pipeline & Safety training. “Enduro is pleased to be able to provide equipment to help train and educate the next generation of pipeliners,” said Dwane Laymon, President of Enduro Pipeline Services. “We understand the importance of having qualified and well trained personnel in the field and look forward to building a lasting and beneficial relationship with Central Technology”. Central Tech appreciates both donations and thanks Enduro and the Oklahoma Department of CareerTech for helping give our students a higher quality industry specific training. For more information about Central Tech and their Pipeline Technology or ElectroMechanical Systems programs, go to CentralTech.Edu or call 918.352.2551. Central Tech’s Ryan LeForce accepting a donation from Jackie Morgan of Enduro Pipeline Services, Inc.
Robotic arm acquired by Central Tech from the Oklahoma Department of CareerTech.